Anyone who has spent any amount of time in a hospital over the past few years will have noticed that medical mobile carts have become an important component of the modern hospital setting. As the healthcare workplace becomes more flexible, mobile, and service-orientated, the medical mobile cart will have an increasingly central role to play in keeping healthcare professional staff organized and their patients safe and well cared for. A well-designed hospital can improve the efficiency of staff and improve patient care, yet so many modern hospitals are not optimized for this. 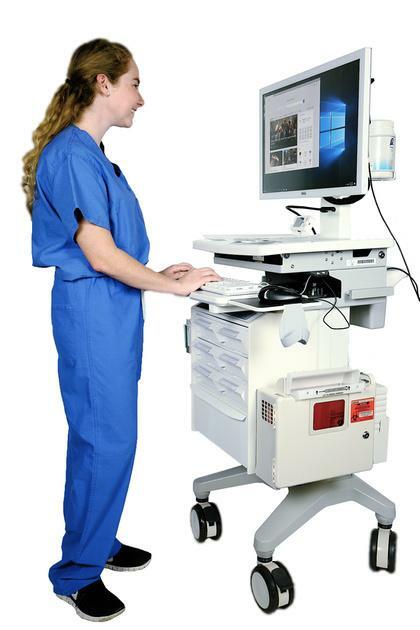 Medical mobile carts have an important place in good hospital design, and this will only increase in the future. Medical mobile carts play many roles in different areas of the hospital, and many types of carts are available for sale to suit the specific needs of various patient populations, hospital areas, and the roles of health professionals. For example, on an acute care unit with 20 or more patients in different rooms, mobile medication carts are available that have a drawer for each patient labeled with their room number and personal identifier. As the nurse passes from room to room to administer medications, he or she can bring the cart with them, as the cart is portable and mounted on wheels. This is a flexible and efficient method of medication delivery and saves nurses time as they do not have to constantly walk back and forth between medication areas and patient rooms. In an intensive care unit, each room may have its own mobile medical cart containing medications, airway supplies, and emergency equipment. In an emergency situation, the cart can be quickly accessed to obtain supplied to save the patient’s life. The medical mobile carts are also wheeled and can be moved around the room in an emergency resuscitation to make way for the staff to access the patient. Many hospitals and healthcare units have embraced the potential that medical mobile carts improve patient care. Some hospitals continue to have an insufficient number of carts for the number of patients or staff on the unit. What’s more, some hospitals have still not embraced the flexibility and portability that medical mobile carts provide, leaving staff frustrated at the inefficiencies of their work as they care for patients. 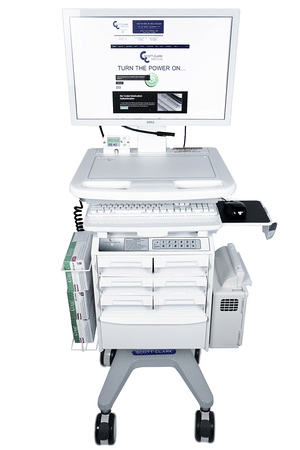 As the healthcare workplace becomes increasingly modernized, there will be a greater demand than ever before for mobile carts that can hold a portable computer or laptop for purposes of accessing electronic medical records, reviewing allergies and medications to be administered, and documenting patient care, care plans, or new orders. Carts that have computers that can be shared between health care professionals save money and space as well as promoting interprofessional collaboration. Multifunctional medical mobile carts that can both store and transport medications and supplies, as well as a computer for reviewing medication administration records and documentation, are another significant area of growth within the medical cart sector. Any medical mobile cart can be customized to meet needs that are specific to your facility. At Scott-Clark Medical, we strive to provide the best possible customer service and ensure a medical cart solution that will meet the needs of your healthcare setting.